Are you in need of a full size hospital bed? We’ve got you covered! 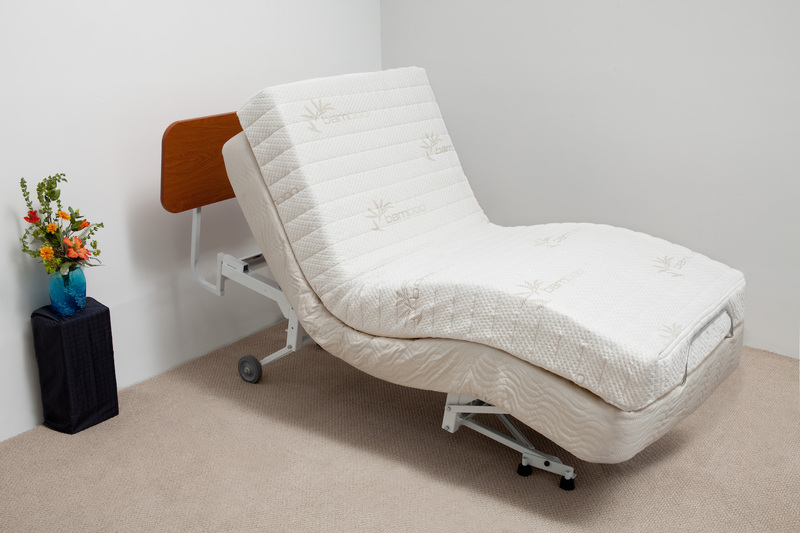 All our adjustable hospital beds are available in full/double size. The Supernal® line comes with an extra long (80″) frame and our Rehab line offers the extra long frame and a super long (84″) frame. The double size hospital bed is perfect for individuals who want the extra space and luxury that comes with a wider bed. 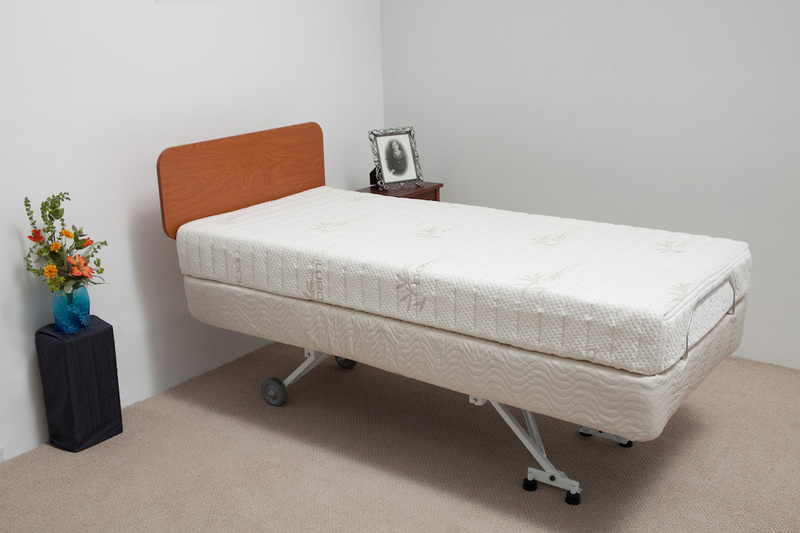 For heavier users, consider our heavy duty beds. Explore our Supernal and Rehab lines. 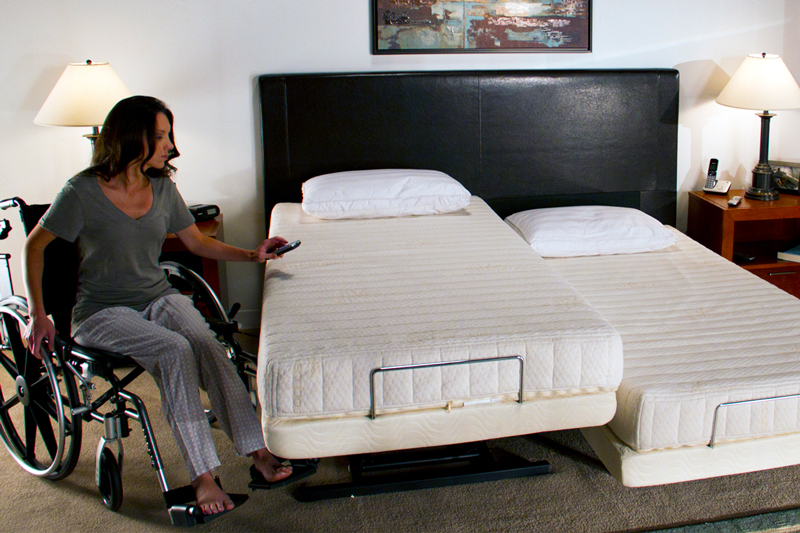 The surprisingly affordable Supernal Hi-Low combines a full-featured adjustable bed with elegance and comfort. Available in Twin, Full, and Queen. (Deck to Floor) 10.5" – 20.5"
The Supernal Reflection is flexible in its design and provides the perfect balance of functionality and style. Available in Twin, Full, and Queen. (Deck to Floor) 10" – 22"
Introducing the glamorous Supernal 5, which provides the ultimate flexibility in a stylish 5 function home hospital bed. Available in Twin, Full, and Queen. (Deck to Floor) 12" – 24"
The Floor Hugger is lower than a standard wheelchair for easy transfers—only 9.5 inches from deck to floor. Available in Twin, Full, and Queen. (Deck to Floor) 9.5" – 21.5"
The Night Rider is a lightweight, comfortable, and affordable 3 function hospital bed. Available in Twin, Full, and Queen—or pair with a Companion for a Dual King. 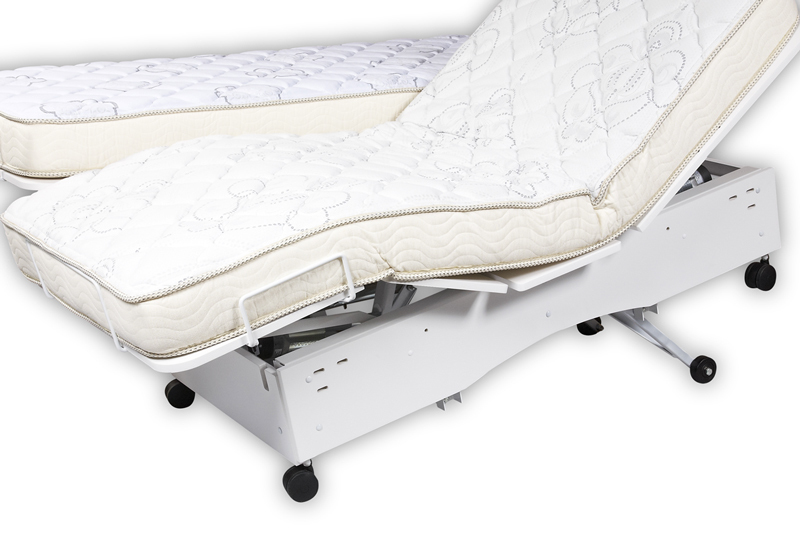 The New Valiant is a full-featured hospital bed capable of maximum adjustment in all 5 positions. Available in Twin, Full, and Queen. The Night Rider HD (heavy duty) and SHD (super heavy duty) are reinforced versions of the Night Rider, with increased weight capacities. (Deck to Floor) 13.5" – 23.5"
The Valiant HD (heavy duty) and SHD (super heavy duty) are reinforced versions of the New Valiant, with increased weight capacities. The Companion HD (heavy duty) and SHD (super heavy duty) are reinforced versions of the Companion, with increased weight capacities. Rest Easy with Transfer Master.